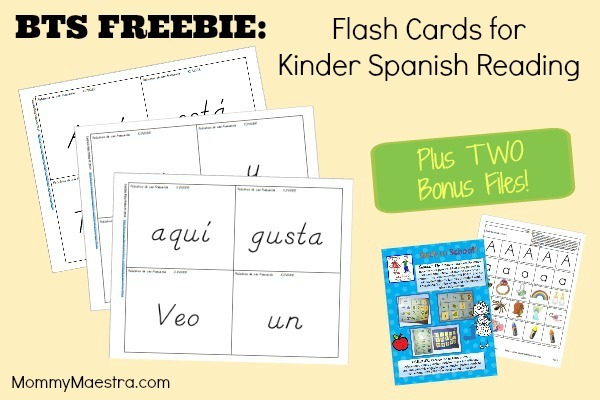 August's free download from our sponsor, Lectura para niños is a set of flash cards to help beginning Spanish readers with sight words. We usually introduce a new flash card once a week! Write the word on a notecard using markers, decorate it up for a necklace! We try to have as much fun with our sight words as we can. TPT SITE WIDE SALE AUG. 4-6: UP TO 28% OFF ALL STORES! Lectura para niños is offering one of their Phonics Center A-Z Letter/Syllable of the Week sets to one MommyMaestra reader. There are some sample pages in the freebie download above so you can see what it is like.